RareInsights is a NORD initiative to expand public knowledge of rare diseases and translate that knowledge into real-world solutions for patients and families. The Orphan Drug Act (ODA) of 1983 is a federal law that incentivizes biopharmaceutical companies to develop drugs and biologics, know as “orphan drugs,” for individuals with rare diseases. Prior to the ODA, there were only 34 therapies indicated to treat a rare disease. Now, there are over 700 and counting! 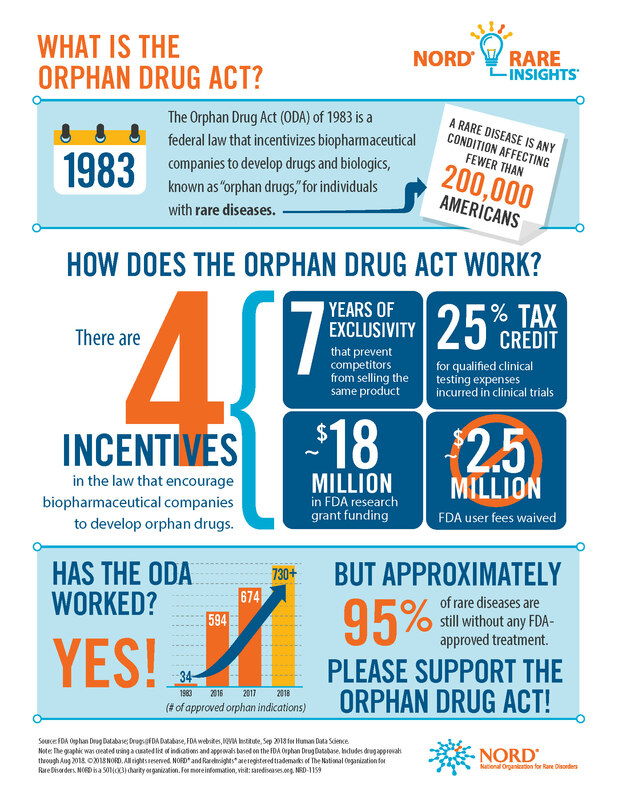 The latest release under RareInsights is a fact sheet explaining the Orphan Drug Act. This fact sheet is available on their website to help the community better understand the importance of the law and provides reasons to support it. Download Here.